FCA US LLC reported April 2016 sales figures of 199,631 this week. Compared to 189,027 during the same month last year, this represents a 6 percent increase and the best April on record since 2005. The always-popular Jeep brand recorded its 31st consecutive month of sales increases with a 17 percent gain. While the Renegade and Compass can both boast their best sales month ever, the Wrangler and Patriot each recorded their best April sales. Ram is, of course, most well known for great trucks, but their lineup of commercial vehicles is equally hard working. The Ram ProMaster and ProMaster City both recorded their best April sales, helping drive the brand to an overall 12 percent increase for the month. As the all-new (and award-winning) Chrysler Pacifica begins making its way to showroom floors across America, sales on both the Dodge Grand Caravan and the Chrysler Town & Country remain strong. April saw a 116 percent increase in sales for the Grand Caravan and an equally impressive 82 percent increase for the Town & Country. 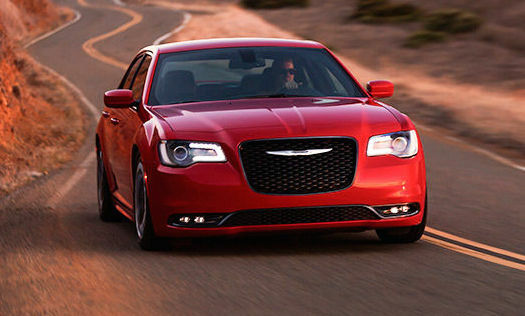 It’s not all about minivans for the Chrysler and Dodge brands though, as both the Chrysler 300 and Dodge Durango also had strong sales numbers for April. With 47 and 17 percent increases respectively in their corners, both vehicles can certainly hold their own in both the large full-size sedan and large SUV categories. With the recent announcement of the all-new FIAT® 124 Spider rolling into FIAT studios this summer at a very affordable $24,995 (plus destination charge), the anticipation for the feisty little convertible continues to build. It will be interesting to see what it does for FIAT sales in America over the summer months.